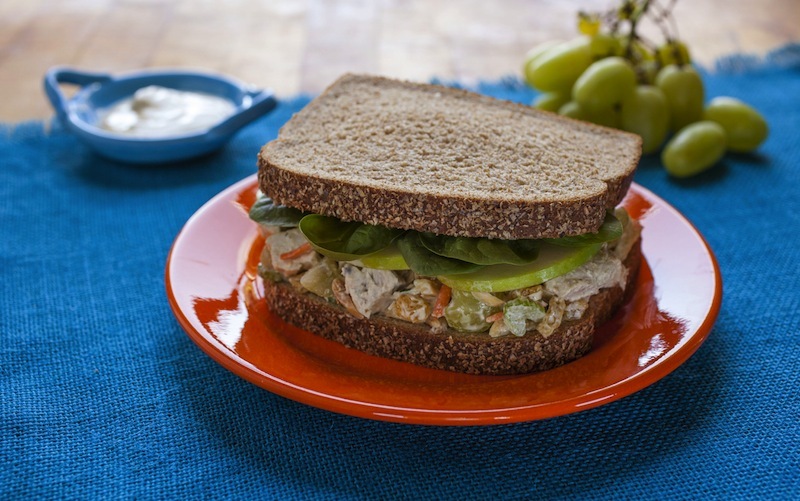 This easy chicken salad sandwich recipe is the brainchild of Mary Hawkes of Prescott, Arizona, Grand Prize Winner of Arnold Bread’s inaugural “America’s Better Sandwich” Contest. Sandwich recipes entered into the contest were judged on criteria such as taste, creativity, nutritional analysis and consumer votes. Nationally recognized dietitians were enlisted to help taste and score each recipe, and in the end, the Fast ‘N’ Fresh Curried Chicken Salad Sandwich was the winner. There are a lot of chicken salads out there, but this one is sure to be a winner in your own houshold as well. When it comes to spice there’s nothing I love more than a good curry sauce, and adding them to a sandwich combination really helps make lunch energizing for the rest of the day. Combine yogurt, jam, mayonnaise, curry and salt in a medium bowl; mix well. Remove and reserve 2 tablespoons. Add chicken, grapes, carrots, celery, almonds, and raisins to yogurt mixture in bowl; mix well. To assemble sandwiches, place 2 slices bread on flat surface. Divide chicken salad on each, spreading evenly. Top evenly with apple slices and spinach. Spread reserved yogurt on one side of each of the 2 remaining slices of bread; place on top, yogurt side in. Makes 2 sandwiches; cut each in half and serve. This is very good. I tend to leave out the spinach leaves though as I find it doesn’t quite work for me. 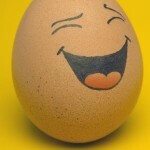 And I use twce as many almonds cos I love almonds! Great starting point though.